Spaniard Jorge Lorenzo won a rain-affected and crash-strewn Aragon Grand Prix for Yamaha on Sunday while Honda’s MotoGP championship leader Marc Marquez fell for the second race in a row. The two Spaniards swapped the lead until three laps from the end when the reigning world champion, chasing a record-equalling 12th win of the season, crashed after choosing not to change to a wet set-up as rain began to fall. Lorenzo had already pitted and the victory was his first of the year, with compatriot Aleix Espargaro finishing second on a non-works Yamaha after holding off Ducati’s Cal Crutchlow by 0.017 seconds. It was Yamaha’s second successive win in a season Honda had seemed set to dominate completely. 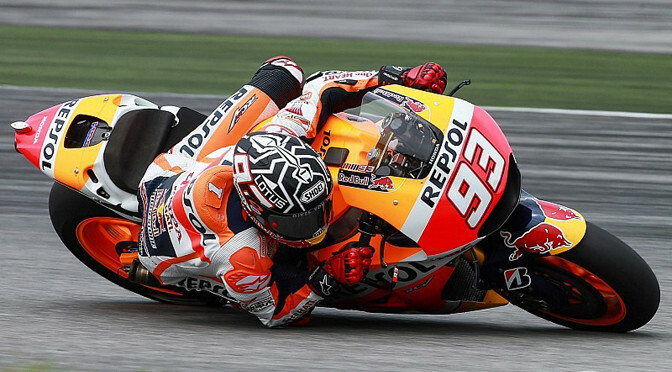 Marquez, who also crashed in San Marino and had started on pole, rejoined the race and finished 13th and ahead of Repsol Honda team mate and title rival Dani Pedrosa, who also fell on the slippery surface. The 21-year-old champion now has 292 points to Pedrosa’s 217 with Rossi on 214 and four races remaining. Italian Valentino Rossi, the winner of his home race at Misano, crashed out after four laps and was carried off on a stretcher for medical checks although he was able to stand and did not appear too seriously hurt. “It has been a long time without a win and to get it in these conditions is incredible,” said Lorenzo, who avoided an unwanted record of becoming the first rider to finish second in five successive races in the top category. “I was concentrating on not crashing and was ready to finish third,” added the Spaniard, who has now won at all four Spanish circuits on the calendar. 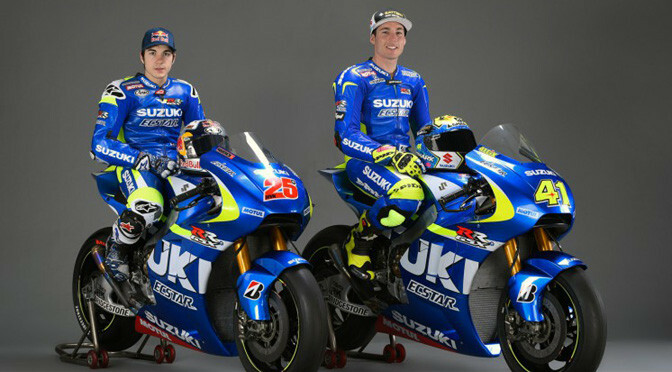 Lorenzo and Rossi had struggled with the choice of tyres on their Yamahas during practice but while the Italian fell, the 2010 and 2012 world champion had an inspired ride. “It was a crazy race. I wasn’t happy when it started to rain as the Hondas were starting to get away from me. I wasn’t comfortable at all,” Lorenzo explained. “Then it started raining more and I decided to go for it, go into the pits and see what happens. Returning it was very difficult as it was slippery with the tyres not warm enough and I had to take risks. Both Marquez and Pedrosa had opted for hard rear tyres compared to Lorenzo’s choice of a medium, and their decision not to change proved costly. “It was all or nothing. I saw there were four laps to go and as I would have lost a lot of time I decided to stay out to see if I could finish the race,” Marquez told reporters.